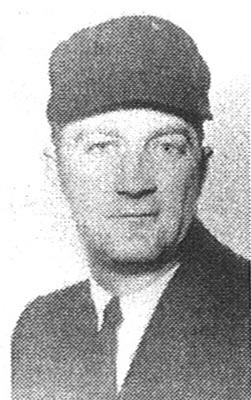 Nestor Chylak, a native of Peckville, left Rutgers University in 1942 to serve his country in World War II. He received both the Silver Star and the Purple Heart and was seriously wounded in the Battle of the Bulge. When Nestor returned to this area, he earned an engineering degree at Scranton’s St. Thomas University. While working as a civil engineer, he officiated for college baseball games. Nestor went on to the minor baseball leagues, eventually earning a chance to umpire in the American Baseball League in 1954. During his career, Nestor worked 6 All-Star games, 3 American League Championship Series and 5 World Series. In 1972, Chylak received the Umpire of the Year Award from the Al Somers Umpire School. When he retired in 1978, he was considered one of the best American League umpires of his generation. After retirement, Nestor served as assistant supervisor of the American League umpires from 1979 to 1981. Nestor was inducted into the National Baseball Hall of Fame in 1999.